Children are fascinated with sharks. They are amazed by their size, their power, and how many types there are. 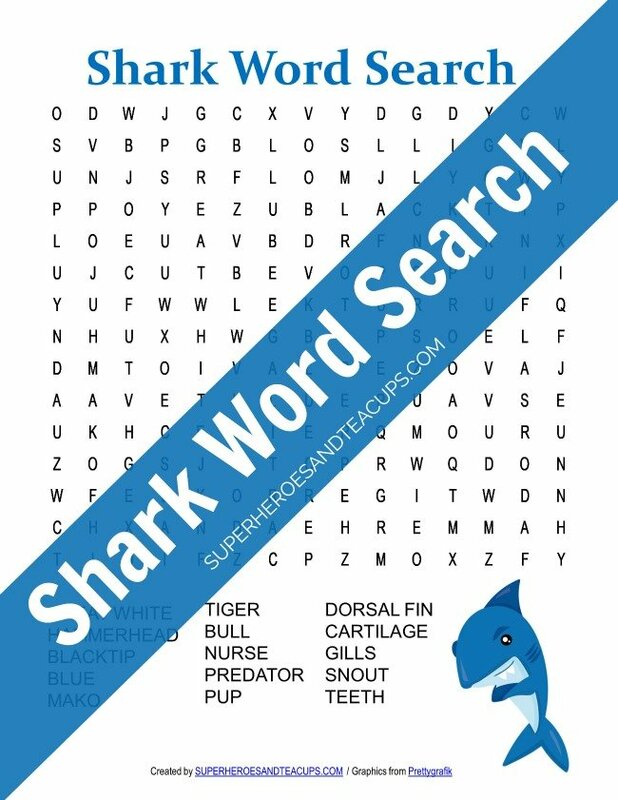 If your child is one of the many anxiously awaiting “Shark Week” on television, then this shark word search free printable is a good way to pass the time. This shark word search contains 15 words all relating to the subject. The words can be found horizontally, vertically, and diagonally, plus they can be forwards or backwards.